The top-right corner of the QDS user interface (UI) contains a help icon . Clicking the icon displays the QDS UI help center as shown below. A generic search field associated with a search button. Type a word/phrase in the search field and click the search button. The following figure shows a search result sample. The results from Qubole knowledge base, documentation, forums, and blogs are displayed separately. Click the individual search result to see the word/phrase that you wanted to look up. This section highlights major changes related to the QDS platform and it is a copy of the Announcements section of the Qubole Support website. Knowledge Base - Clicking it directs you to the Knowledge Base section of the Qubole Support website. Support Portal - Clicking it directs you to the home page of the Qubole Support website. Documentation - Clicking it directs you to the Qubole documentation website. Walk Through - Clicking it gives you a walk through of the current main pages such as Analyze and Explore. For example, if you are on Analyze and click the Walk Through from the Help Center, you see the following tutorials based on Analyze. Similarly, when you are on the Explore page, click Walk Through from the Help Center to see the following tutorials based on Explore. Video Tutorials - Clicking it displays a list of tutorials on how to use QDS. Quick Tour - Clicking it gives you a quick tour of the QDS User interface as shown in the following figure. Download Drivers - This takes you to the link where you can download Qubole ODBC and JDBC drivers. Education - This takes you to the Qubole Education website. Ask in forums - Clicking it redirects you to the New Post page of Qubole Forums in the Qubole Support website. If you have logged in as a user of the Qubole Support website, then you see the New Post page as shown in the following figure. 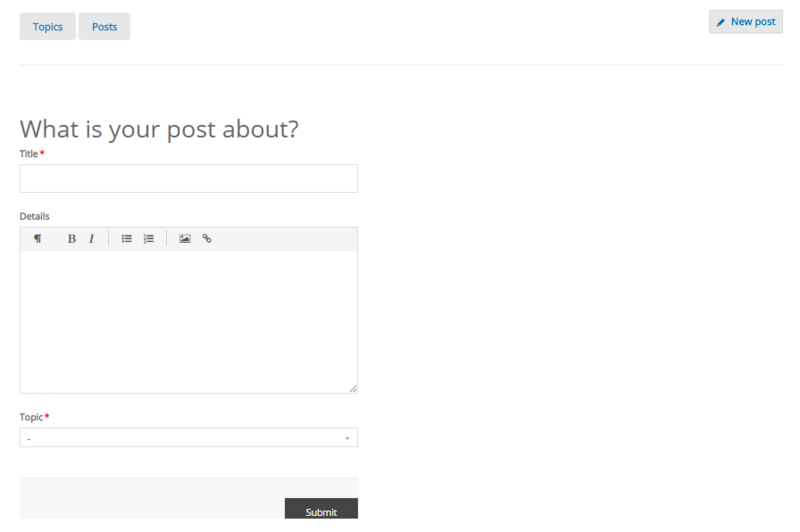 In the New Post page, write a title for a post (a mandatory field) and add details in the corresponding text boxes. Select a related topic from the Topic drop-down list (a mandatory field) and click Submit. Submit Support Ticket - Clicking it displays the Submit Support Ticket dialog as shown in the following figure. Write a subject and describe the issue in the corresponding text fields. Set a priority for the ticket if you want to change it from the default Low priority. Enter the command ID if it is related to a QDS command. Click Submit to create a helpdesk ticket. Click Cancel if you do not want to create a helpdesk ticket and return to the previous dialog.